Can we embed Periscope videos? What are those suits behind her thinking? They're thinking "I'd hit that." What are those pins they're wearing? I notice that Markey doesn't have one. Is it to identify House members? You only have to see the way the MSM has promoted her and tried to make her a household name, in order to know that she's a creation of the Globalists. The propaganda is strong with this one. 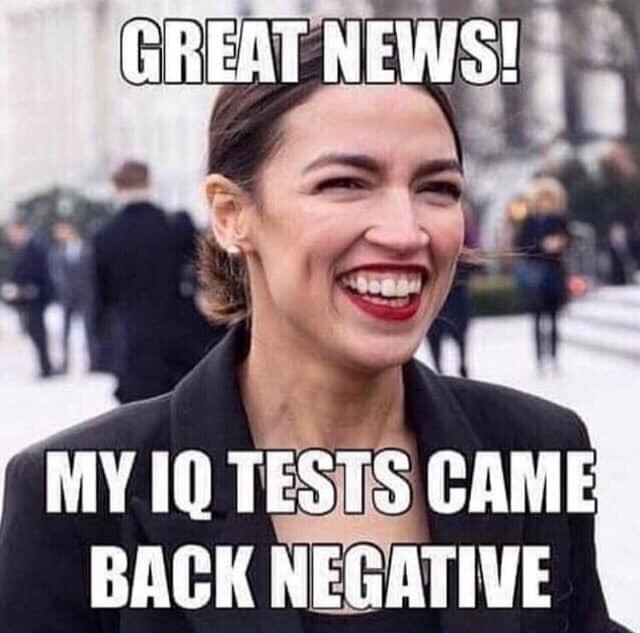 This photo is being circulated with various captions, or none at all, to make it look like Republicans think she's hot. The young guys in the photo are alleged to be GOP members. But the photo is nowhere near as powerful when you see the unedited version. "Look straight ahead. One foot in front of the other. Don't trip! I wonder what that U-S-A word spells, that they were shouting earlier." a look inside the head of Alexandria Occasionally Coherent, aka She Guevara, aka Bolshevik Barbie, aka Sandy from the East Block, aka Lenin in Lipstick. she run Amazon HQ2 off NYC lol. well Done Alexandria. “A number of state and local politicians have made it clear that they oppose our presence and will not work with us to build the type of relationships that are required to go forward,” Amazon said in a statement. The company’s decision was at least a short-term win for insurgent progressive politicians led by Representative Alexandria Ocasio-Cortez, whose upset victory last year occurred in the western corner of Queens where Amazon had planned its site. Her race galvanized the party’s left flank, which mobilized against the deal, helped swing New York’s Legislature into Democratic hands, and struck fear in the hearts of some local politicians. "I'm the boss, how about that?!" She also tweeted: "We're in charge"
People say they think she is some sort of plant to make leftists look bad. That might just be overthinking it. This is just one of the first brazen leftists to be elected in American history. Until now, the previous generations of leftists had known to 'hide their power level', or iow not give away that they are authoritarian tyrants. Well, she's a millennial. The millennial fell for the hedonistic and humanistic lifestyle that has been promoted since myspace. The old crusty jews can't keep her shut.